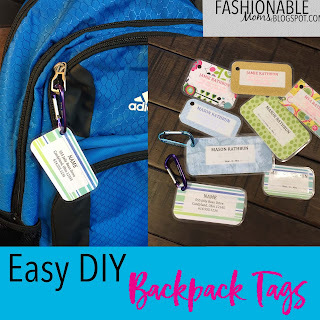 My Fashionable Designs: Easy DIY Backpack Tags! 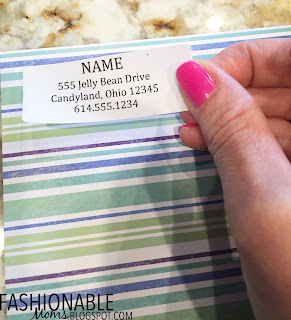 Labels or Plain Paper Printed with Name, Address, etc. 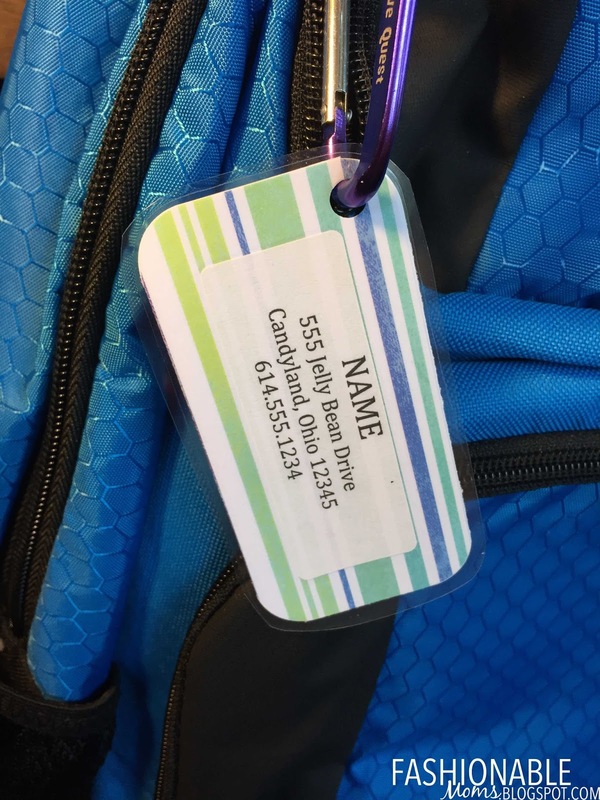 So many times I have wished that I had a waterproof label to attach to the kids' backpacks, lunch bags, beach towels, etc. 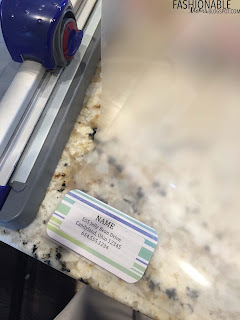 I found myself running to my label maker to make a quick label. But, they never stayed on!!! And of course I prefer something with a cute design instead of a boring old label maker label;) Now, every so often, I will make a bunch of these tags for the kids and myself so that we are ready to tag the new backpack, towel, beach chairs, coolers, and the list goes on! 1. Print out the information such as name, address, phone onto address labels. 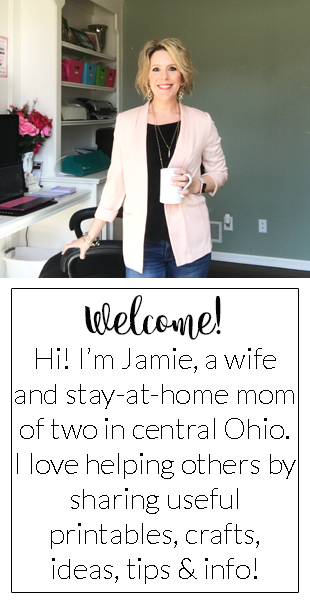 Templates are available in Word - I used Avery 5160 size. Get as fancy as you want with fonts and colors! I just did black on white for my example. 2. 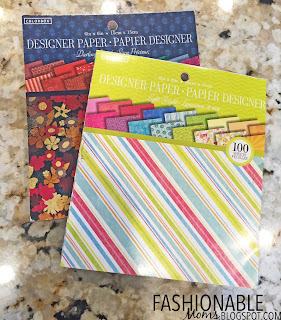 Get some scrapbook paper or any decorative paper. 3. Stick the label on the paper. 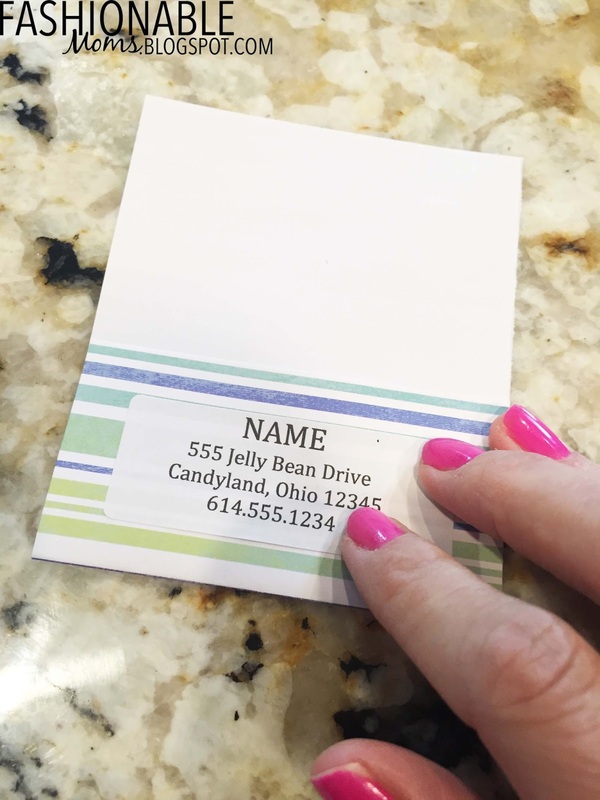 Leave some space for a hole punch in the corner. 4. 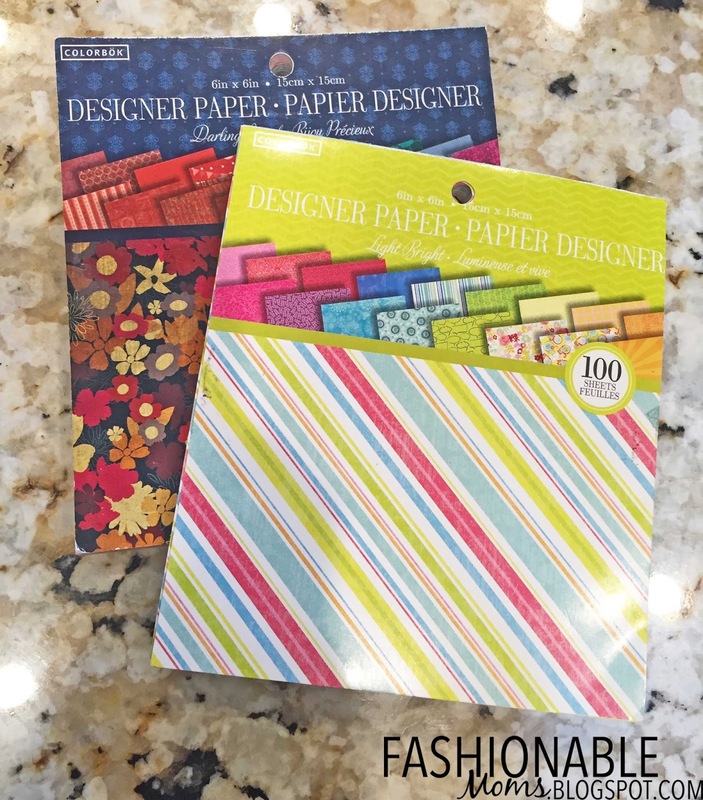 Cut as needed to your desired size, doubling either the length or width so you can fold. 5. 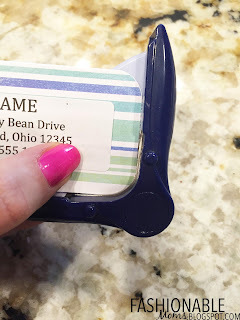 Fold in half so the design is on both sides and use a glue stick to adhere the fold. I had some extra paper to trim off too. 6. To fancy it up, use a rounded corner cutter. 7. 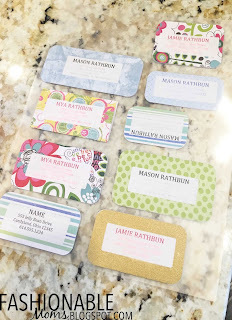 Place all the cards into a laminating sheet. Use a dot of glue stick so they don't move around when you go to insert the sheet into the laminator. 8. 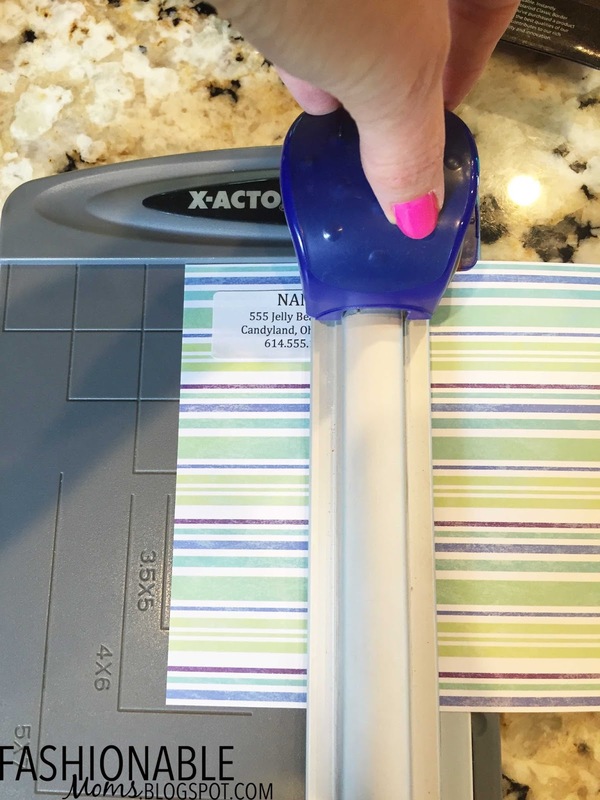 Run the sheet through the laminator (you may need to use the thicker setting depending on the thickness of your papers). Now you have a sheet of laminated tags! 9. 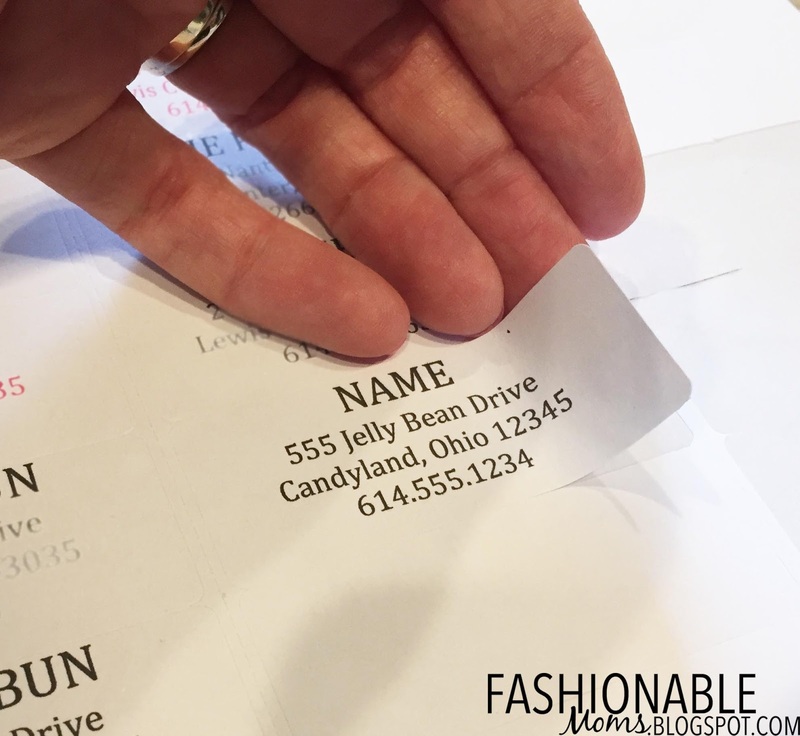 Cut each tag out from the laminated sheet and use a hole punch to put a hole in the corner. 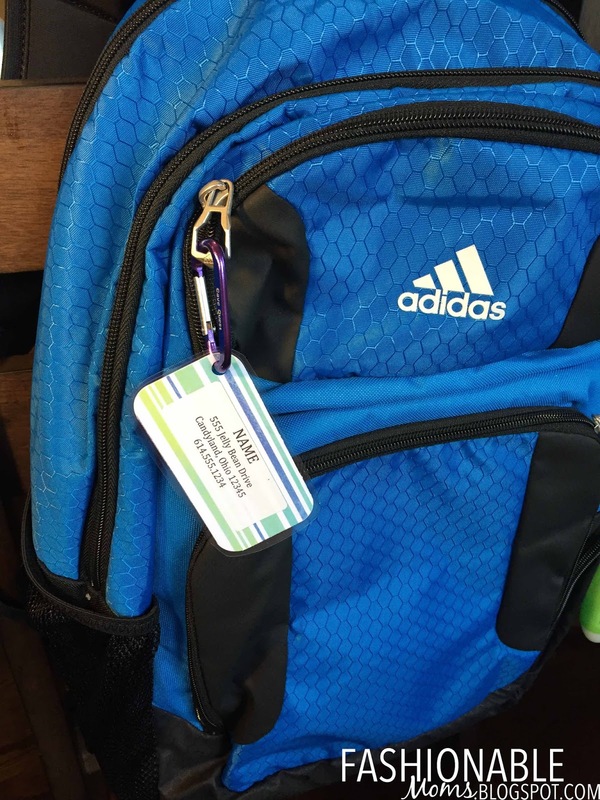 Add a keychain, carabiner, or even a safety pin.